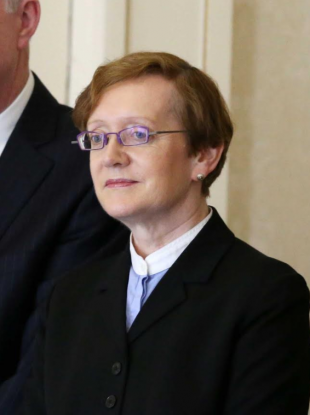 FIANNA FÁIL LEADER Micheal Martin has said the appointment of former Attorney General Máire Whelan to the Court of Appeal “stinks”. The appointment of Whelan to the court has been criticised this week, being dubbed “nakedly political”. It was also confirmed that the new Social Protection Minister was not aware that Whelan was to be appointed a judge before Tuesday’s cabinet meeting. It was announced on Tuesday she would leave her post after six years, a day before Leo Varadkar took office. It has been confirmed to Gavan Reilly of Today FM that she had not made an application for the role on the Court of Appeal. Speaking as new Taoiseach Leo Varadkar announced his cabinet last night, Martin said that the appointment was indicative of “broken promises of reform”. He said the job on the Court of Appeal had been held open for three months after the retirement of Mr Justice Garrett Sheehan in March. Martin took specific aim at Shane Ross, long a vocal opponent of political judicial appointments. “This is not something that can just be gotten over with a casual ‘ah sure, we’ll do better next time’. “Why was 23 years of precedent abandoned for no real reason? Why was no specific open advertisement issued in recent months? Why was the job held open for three months, then filled in this manner? In response, Ross accused Fianna Fáil of “offering pork barrel deals by the bejaysus” when negotiating a government deal. Speaking on RTÉ’s Morning Ireland today, newly-minted Social Protection Minister Regina Doherty defended the move. However, she said that she was not aware it would happen before Tuesday’s cabinet meeting. “She is a bounty of wisdom, she is calm, she’s measured, she’s mature. “I can’t speak for every member, I can only speak for myself, but no I didn’t know she was going to be appointed, it wasn’t on the documentation that was circulated in the days before the meeting. Doherty said that the government’s prerogative was to make judicial appointments and referred to a statement by the Judicial Appointments Advisory Board which stated that there hadn’t been any sufficiently qualified candidates for the job. Social Democrats co-leader Roisín Shortall called the appointment “nakedly political”. TheJournal.ie has asked the Government press office for comment on the appointment. Email “'It stinks' - Criticism of decision to give Attorney General a job she didn't apply for”. Feedback on “'It stinks' - Criticism of decision to give Attorney General a job she didn't apply for”.